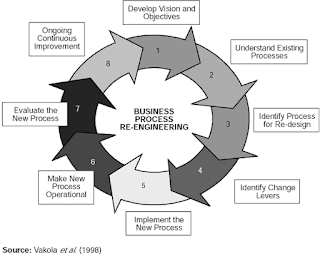 Musings 'n scribblings of a philanthrope .. : Business Process Re-engineering - Basics and links ..
Business Process Re-engineering - Basics and links ..
What is a business ? BPR - What to do if your business is failing ..
A good BPR FAQ .. from albany.edu ..
A World Bank BPR presentation ..
A good presentation with case studies ..
Click here for the Honeywell case ..
Steps and procedures in BPR .. click here .. 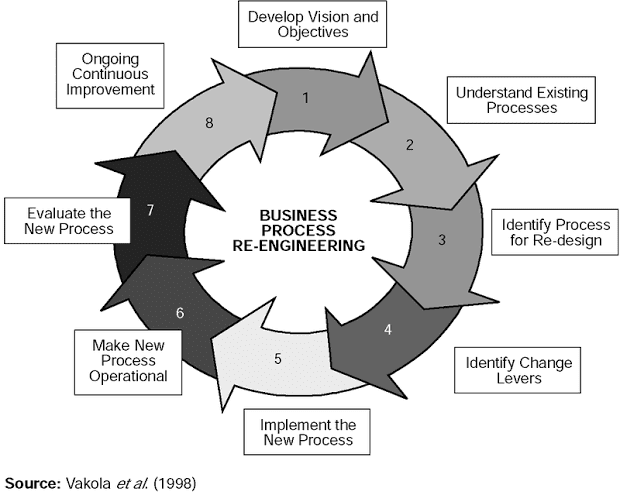 This document from Bain & Co has interesting links ..
BPR as a quality improvement tool .